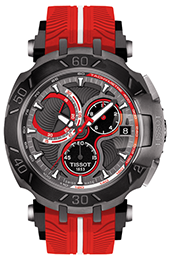 Tissot MotoGP Jorge Lorenzo | Throttle Life! 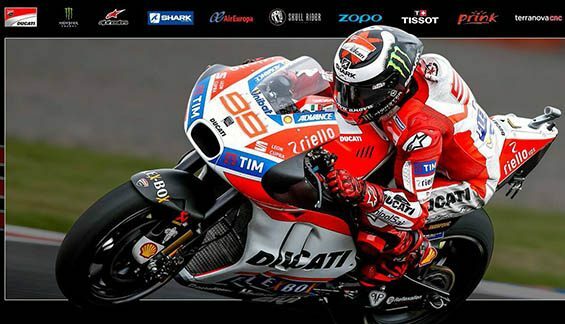 Jorge Lorenzo’s path has been paved with precociousness and records. Success has been his companion since the day he rode a bike for the first time at the young age of 3. When he was 8, as one of the youngest, he won the Balearic Championship. Since then, Lorenzo has not stopped growing. He has achieved three World Championships (2010, 2012 and 2015), has been runner-up three times (2009, 2011 and 2013) and has become one of the most important racers of all-time with a record number of Poles. He is also the fourth driver in the all-time list for victories in the premier class and third in line for the most podium finishes. 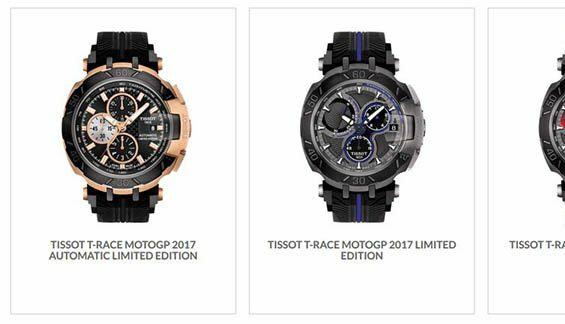 Tissot could not honor Jorge Lorenzo without considering his motorbike, which is why many of the watch’s details are taken from the two-wheeled machine. It is also what makes the essence of the watch. It has a brake-disc illustrated by the bezel, while tyre treads are left on the bracelet. The details go as far as suspension rods depicted in the attachments of the bracelet to the case, and pushers like footrests. The owner of this watch will be one of only 2017 worldwide. Confirming the exclusivity of this piece is Jorge Lorenzo’s very own logo silk-printed on the caseback and the special helmet presentation box it comes in.